Before the original 200 RalBars™ were manufactured, a series of 9 handmade RalBars™ were produced using the production plans in the inventor's shed in East Bentleigh. We are pleased to be able to release 2 of them for sale. Number 4 is crafted from hand stained native Australian Eucalypt body and neck, with a rosewood fretboard. 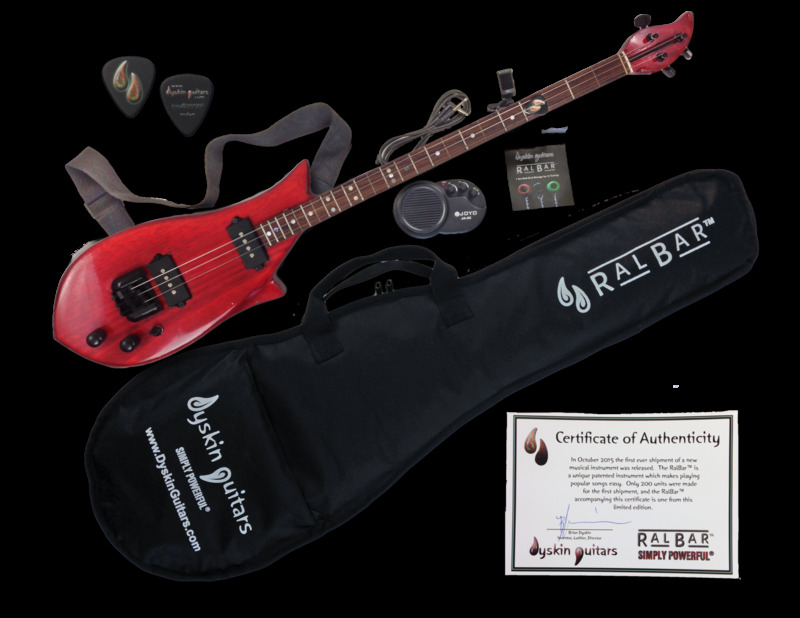 The combo includes RalBar™ Serial Number #004 from the "East Bentleigh 9", with individually hand-painted serial number, and certificate of authenticity, a Nylon gig-bag, strap, spare set of strings, starter amp, amp cable, RB-1 RalBar™ tuner, limited edition Dyskin Guitar picks. "I’ve been playing the Ralbar for over a year now. I am convinced that Brian has developed not only a visually beautiful instrument, but the tone and feel of the guitar is unique. To provide perspective, I also own and play a Taylor 412CE Steel String Acoustic, Yamaha Nylon Cutaway, Ibanez Artist Series Semi Acoustic, and a Fender Stratocaster. The Ralbar, whilst designed to assist a new player, also provides a unique feel - almost a 50/50 of a cigar box and a strat-type guitar. As an experienced player, one is not limited to Brian’s customised fret layout, although it assists in the development of playing styles and a Ralbar technique. As Musical Director of the Bellingen Jazz Festival, we used the Ralbar throughout last year’s festival, with guest artists choosing to play the Ralbar within their own set range - and it proved very popular. 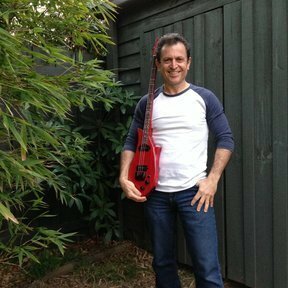 As a parent who has surrounded himself in musical instruments, the Ralbar has allowed my kids to easily learn and play bar-chord based tunes with confidence - essentially eliminating most of the theoretical learning required for standard guitar technique. As the kids play their tunes quickly - the gratification is instant - and hence the desire to play more and more intensifies. Congratulations Brian for developing not only a wonderful teaching tool, which allows many more people to embrace playing music - but for designing an item of beauty and interest. Good luck with the future of Ralbar. 24th Annual Bellingen Jazz Festival"